– Are you and your family prepared to be self-sufficient for three to five days? – Do you have a rendezvous point other than your home? – How will you communicate without a phone or mobile device? We asked first responders the best way to prepare for an earthquake, fire, flood, tornado, hurricane, or other disaster. Their recommendations are presented below as a series of key questions. As you answer each question, you’ll be one step closer to a disaster preparedness plan. #1 Where Will You Go? The family home is an obvious meeting point, but what happens if roads are blocked, bridges are out, or if an evacuation is in effect? A good emergency plan include a secondary rendezvous point. This could be the home of a friend or family member in another part of town, or a predetermined shelter location. #2 How Will You Reconnect? In a disaster, you may not be able to use a landline or your cell phone. Establish a communication plan if members of your family are separated. Long-range “walkie-talkies” might be an option if family members work or go to school within specified range of your walkie-talkies. Store the device in a backpack, car or desk drawer and ensure batteries are replaced regularly. Give each family member the contact information (in writing) for someone outside of the local area. This person can act as an emergency communication hub for separated family members who can’t connect locally due to a discharged cell phone or intermittent connectivity. #3 Can You Be Self-Sufficient for 3-5 Days? A disaster supply kit should include basic supplies for three to five days. Family members who travel more than a few miles from home each day should have an additional kit in their car or workplace. Below is a short list of basic items, for a complete list, download our Emergency Preparedness Checklist. – Include regionally appropriate items such as sunscreen, bug repellent, cold weather apparel. – Store items in waterproof bags inside an easy-to-carry containers such as a plastic bin or duffle bag. – If you can’t afford to purchase all of the items above at once, purchase a few each week until you have everything you need. 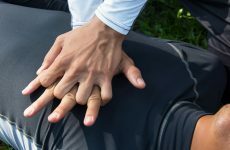 #4 Are You Prepared to Administer Basic First Aid? 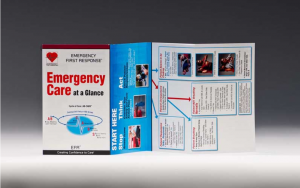 Basic first aid skills are essential in a disaster situation when emergency services may be unavailable. In some scenarios, if a patient doesn’t receive care immediately, their condition will deteriorate – often rapidly. 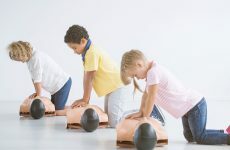 A good first aid class will teach you how to respond to a variety of emergencies including: broken bones, burns, cuts, deep wounds, sprains and spinal injuries. When properly trained, you’ll be better-prepared to calmly and confidently handle an emergency situation. #5 How Well Does Your Plan Work? At minimum: bring your family together and talk through how you would handle an emergency. Discuss different scenarios (kids are at school, parents are at work). Collect all the items in your emergency supply kit and divvy them up among family members. Discuss what might be missing. The best way to test your plan is to put it into action. Imagine your phones don’t work and there is no electricity or internet. Spend a weekend living off your emergency supply kit (replenishing items afterwards). You may decide to invest in a few headlamps in addition to flashlights, or even a camping toilet. Figure out where the shut off switches are for your house, and where you might find extra drinking water if needed. 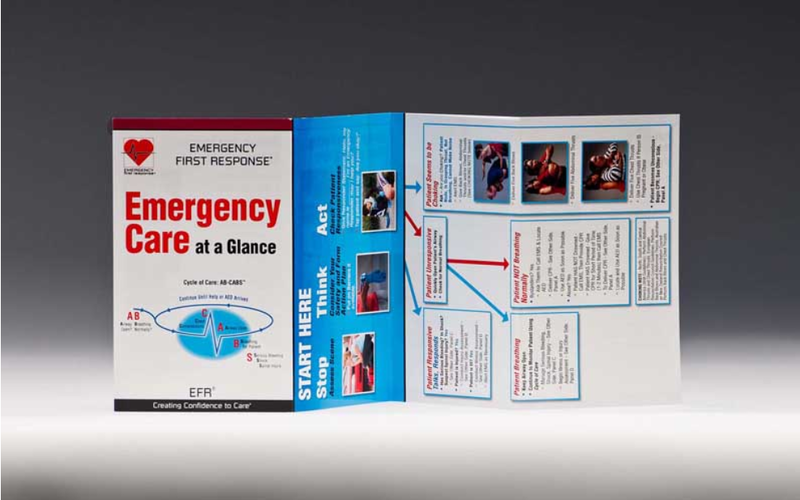 An Emergency First Response Instructor can help you and your family get prepared. 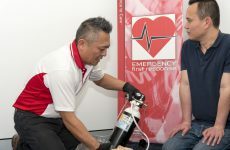 Locate an Emergency First Response course provider near you to sign up for CPR and/or First Aid Training. Our experienced instructors have helped thousands of individuals and companies get the skills the skills they need to get prepared.